It was just an off handed comment from a friend in the middle of a conversation, but it stuck in my head, or possibly my heart, and made a lasting impression. Planting a tree requires vision. Planting an expensive tree requires vision and faith. When you plant a tree, you make an investment into the future. You plant in hopes of the shade it will provide, the fruit it will bear, or, if you have great vision, the tire swing your grandchildren will swing from some day. The key to planting a tree is the start it gets in the early years. You condition the soil to give the roots room to take hold. You keep it watered and fertilized. And, those of you here in West Texas know full well, you hold that newly planted tree in place with guide wires. Those guide wires protect the young tree from the wind and provide a steady and consistent pressure that trains the tree in the direction it should grow. 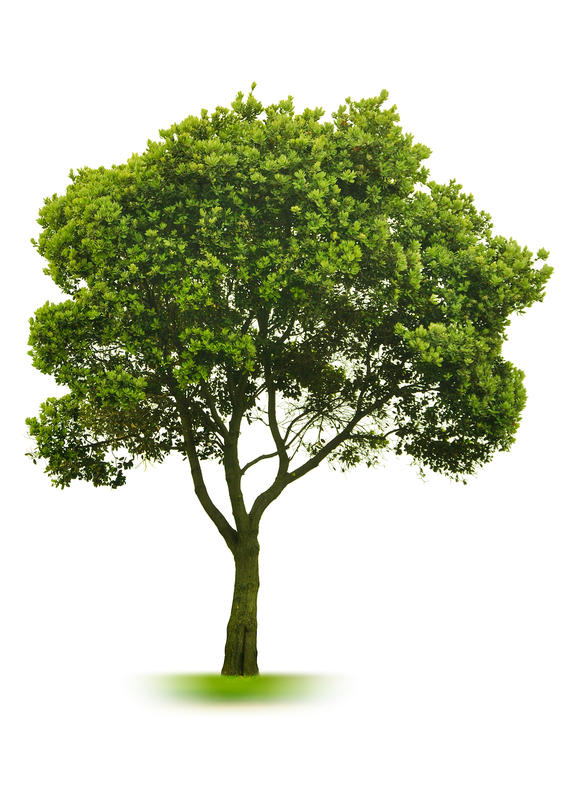 In the book of Proverbs, King Solomon uses the analogy of a young tree as a picture of how to raise our children. Every praying parent is familiar with those wise words. This little proverb has given parents much hope over the years, but it has also been a source of frustration for those dealing with a child in rebellion, as many a mom and dad have questioned the future of their child. Much like the planting of a tree, the raising of a child requires vision, faith, hard work, and strong guide wires. But, understanding the truth of those guide wires is the key to the promise of the Proverb. The responsibility of a parent is not to attempt to pour their child into a mold of what they want their child to become. We have been called by God to discover the gifts and desires He has placed in our children and create an atmosphere that will allow them to grow in that direction. We are to provide the kind of nurturing environment that will empower our children to follow their hearts in the grace of God. I believe this promise and principle applies to the training we do in every area of our life. At home, when wives are training their husbands, remember the direction of their hearts in the process of “domesticating” them. At work, when we are training employees, do not let the personality of your workers get lost in the pursuit of productivity. In the mirror, when you are giving yourself the pep talk about the person you want to become, remember to listen to your heart, to listen to your body, as you train yourself in the direction God has designed you to go. Determine today to live your life with a vision for the future. Plant trees that will last. Invest in those you love in a way that doesn’t just provide convenience for the moment, but in a way that will bear fruit in the days and years to come. Did you miss yesterday’s message? Do you need to hear it one more time? You can find yesterday’s message from Pastor Eric von Atzigen on the church web site. Click to listen. We are so excited to announce the return of Loran and Tiffany Rule, back to Sweetwater and to EFC! Visit the website to learn more about this awesome couple who will be ministering to our youth in Sweetwater. Make plans to join in the after church Fellowship Meal this Sunday, January 31. It’ll be a great day of fun and family time. More info (and even recipes!) at www.efcsweetwater.com. Click the FELLOWSHIP MEAL icon. Looking to find a church in Sweetwater, Texas? We invite you to discover the joy and friendship of a Lifegroup this week. A Membership Dessert is just around the corner for those of you who are new to EFC, or are interested in joining. Come let us feed you yummy treats as we share with you the vision of this Spirit-filled church in Sweetwater! Next Sunday, January 31, 2010, is the last Sunday in January, a time we set aside for the annual State of the Church Address. We look forward to sharing a report from 2009 and looking ahead to 2010 as a congregation. We will conclude our Vision 2010 series with a look at the mission of the church to “Send.” Make plans to stay for the fellowship meal after church and get to know our new Youth Pastors, Loran and Tiffany Rule. Yesterday was a special moment for our congregation. Our attendance was at its highest level ever, and the presence of the Lord was strong and wonderful. As we worshipped together and as I shared on learning to give and receive mending, I was aware that God was doing a great mending among us. I believe He was mending the broken places in each of us individually and mending us together as a people of faith and love. It is a great joy and privilege to pastor such a wonderful congregation in which the lost are being found and the broken healed. May the mending continue both in and through each of you. Today, in light of our message on mending, and in honor of a national hero, I invite you to pause and consider the life and ministry of one of the greatest menders in the history of our nation. Dr. Martin Luther King, Jr. was the thread that took the fragmented pieces of our nation and dramatically moved us in the direction of mending and healing. The life and teachings of Dr. King sought to not only patch the glaring injustices of his day, but to renew the fabric of our culture, to renew the wineskin of America, so that the message God gave him to preach would not be poured on the ground and lost. I invite you to pause today and consider the love and sacrifice of Dr. Martin Luther King, Jr. Consider the life of a man who had the courage to face the realities of his day, and the faith to change them. “I’d like somebody to mention that day that Martin Luther King, Jr. tried to give his life serving others. I’d like for somebody to say that day that Martin Luther King, Jr. tried to love somebody. Yes, if you want to say that I was a drum major. Say that I was a drum major for justice. Say that I was a drum major for peace. I was a drum major for righteousness. 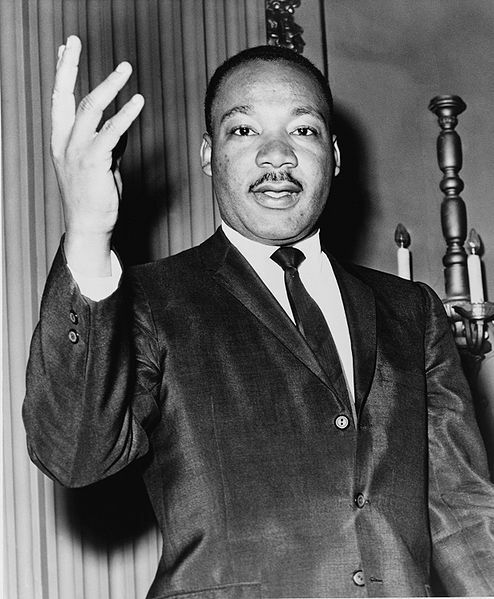 And all of the other shallow things will not matter.” – Dr. Martin Luther King, Jr.
Did you miss yesterday’s message? Do you need to hear it one more time? You can find Pastor Eric’s message, “Mend” on the church web site. Click HERE to listen. Ladies, are you ready for a Girls’ Night? If so, meet us in the EFC parking lot this Friday evening by 5:30 pm! We will travel to Clyde, Texas, to hear special speaker Tammy Maltby speak on “The Miracle of Hospitality.” This will be a great evening, so be prepared to be blessed! If you are planning to attend, please email Mindy at mindychelle@aol.com to let her know so we can make sure we have a seat for you! FountainGate Fellowship will host an evening of worship with Keith and Sanna Luker, Sunday, January 24, at 7:00 p.m. If you need to spend an evening in worship and intercession, this will be a great venue to do so! Log on to www.efcsweetwater.com for more info to make plans to connect with a Lifegroup this week. Our youth will be attending the Julian Drive concert here in Sweetwater on Thursday, January 21st. Log on to www.efcyouth.com for more info! Our church will be helping the Ministerial Alliance serve the needy of our community during the month of February. We will need a coordinator for this outreach, a driver who can pick up groceries in Abilene with a flatbed trailer, a team of volunteers to help sack groceries for two hours on Tuesday, February 16th, and a few more to help distribute the groceries to those in need on Thursday, February 18th. If you are interested in being a part of this service project, please log on to the church website at www.efcsweetwater.com and click the SERVE icon. Make plans to join in the after church Fellowship Meal Sunday, January 31. It’ll be a great day of fun and family time. More info (and even recipes!) at www.efcsweetwater.com. Click the FELLOWSHIP MEAL icon. Thanks to Curtis Ward for sharing some information with us yesterday about the upcoming Encounter the Cross Retreat! If you were interested in attending an Encounter, log on to the church website at www.efcsweetwater.com and click on the “encounter” link! [picapp align=”right” wrap=”false” link=”term=jumper+cables&iid=5256076″ src=”3/6/d/d/Close_up_of_d6eb.jpg?adImageId=8927657&imageId=5256076″ width=”234″ height=”234″ /] The frigid temperatures have wreaked havoc on the battery of my little ’91 Accord. I was recently greeted with the familiar clicking sound that told me there wasn’t enough juice to get the engine to turn over. No problem. Right? I’ve got a set of jumper cables. Now, being the positive person that I am, imagine what would happen if I were to only attach the positive cable to my battery when I go to jump it off. All that positive energy wouldn’t have any way to transfer into my battery to get me moving again. And this is where the life lesson is learned. The positive cable needs the negative cable (I prefer to call it the ground cable) to complete the circuit. How many times do we try to hook ourselves to only the positive cables of life, just to discover it’s not giving us the juice we need to get going? The key is, just like my Accord, we must also be grounded in order for our batteries to operate. We can’t run away from the negative elements of life. We can’t despise those things that keep our feet on the ground because it is the realities of life that allow the positive cable to do its thing. Just as a kite needs a string holding it to the ground to allow it to soar to incredible heights, the grace of God is best experienced in a grounded life. The challenge of an over-positive, Pollyanna perspective is it can lead us to pretend problems don’t exist, or to ignore the very negative situations that must be dealt with. We must come to understand faith is not a crutch by which we ignore reality; rather, faith is the ladder allowing us to access a greater reality and see it positively impact the world in which we live. The facts that surround us are subject to change. Faith is based on the unchanging truth of God’s Word. My checkbook ledger changes every day, my health report changes, but the truth of God does not change. And God’s unchanging truth has the power to change my current circumstances. So, my friends, plug into that positive power supply, keep your feet on the ground, and watch the grace of God do amazing things in your life today! There is no podcast for the January 10, 2010 message. Sorry, it was a “had to be there” kind of message. I began yesterday’s message by humorously browsing through my vehicle road side emergency kit, but being stuck in a real emergency isn’t too humorous at the time. Does your family have a plan to handle the unexpected events of life? Here are a few links for emergency preparedness. www.ready.gov – lays out a three day emergency supply list. http://www.fema.gov/areyouready – gives an in depth guide to citizen preparedness. Click HERE for a link to road side preparedness for ladies. Click HERE for a link to home fire preparedness. A crisis is only a crisis when we are not prepared for it. If we prepare ourselves, then a crisis becomes merely a situation. I’d rather make it through a situation than a crisis! My personal plan of action, and one I recommend to friends is to keep FOOD on hand for a week (don’t let your pantry get empty); keep some CASH on hand (invest in a fire safe box); and keep GAS in your car (don’t let it get below half a tank). Lifegroups, RAMP, and worldchangers all start up again for the Spring Semester this Wednesday evening! Log on to www.efcsweetwater.com for more info and make plans to join us this week! Our church will be helping the Ministerial Alliance serve the needy of our community during the month of February. We will need a coordinator for this outreach, a driver who can pick up groceries in Abilene with a flatbed trailer, a team of volunteers to help sack groceries for two hours on Tuesday, February 16th, and a few more to help distribute the groceries to those in need on Thursday, February 18th. If you are interested in being a part of this service project, please log on to the Emmanuel Fellowship Church website and click the SERVE icon. Make plans to join in the after church Fellowship Meal Sunday, January 31. It’ll be a great day of fun and family time. More info (and even recipes!) by logging on to one of the most delicious churches in Sweetwater, Texas and clicking the FELLOWSHIP MEAL icon. Discover more about Sweetwater, Texas! Love is likely the most written, sung, and talked about topic on the face of the planet. So, preaching a sermon about love leaves a pastor feeling dangerously redundant. But, this most written, sung, and talked about topic is also dangerously misunderstood and requires preaching and teaching to bring clarification and motivation to those who would dare to love. Ron Smith has submitted a great recipe for Stone Soup. See if you can cook some up! 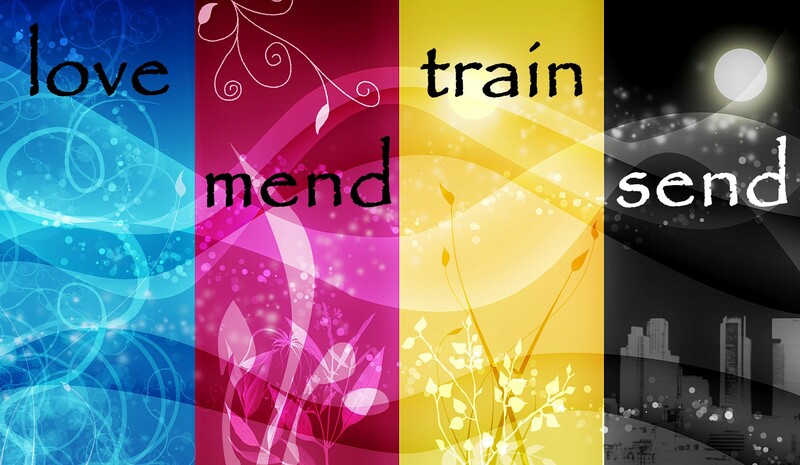 Next Sunday, January 10, 2010, we will continue exploring our mission statement by learning what it means to Mend. Pots of Stone Soup are springing up all over the Big County. From the local fish and chicken eatery to schools and home kitchens, friends and family are cooking up the adventure! Here is a recipe for Stone Soup submitted by a dear friend, Ron Smith. Start a fire in a convenient, or sometimes in an inconvenient, location. Simply starting the fire is the important initial action. Gradually add additional ingredients. Don’t fret too much over what order or in what quantity they go in originally. Just make sure there are many ingredients. Stir pot frequently. Don’t get lazy here just because the aroma, taste, and texture are already good. Stirring often is an absolute must for a successful dish. Taste test occasionally, making sure all ingredients are included in their uniquely agreeable proportions. Garnish with a healthy dose of love and serve continuously until all are filled. Move to a new location and start recipe again. You can discover more of Ron Smith’s writings at www.freshfocus.wordpress.com.